South Africa has made remarkable progress in science and technology. In the production of scientific information it is a leading country not only in sub-Saharan Africa but also in Africa as a whole. Given the achievements South Africa has made in the production of scientific information, it will be of interest to examine the characteristic nature of science in the country. This has importance for South Africa and also for other African countries. As science is evident in the publications that are produced, this paper examines the characteristic features of scientific information produced by South African scholars. Drawing on the publication records stored in the Web of Science database, the paper examines the distinguishing features of scientific production including collaboration, visibility and impact. 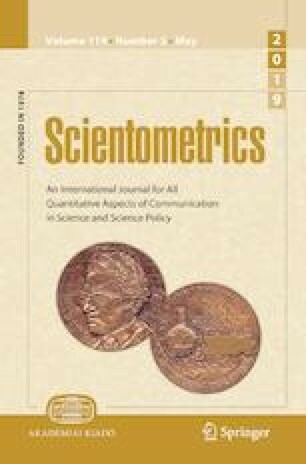 The paper also deals with the relationship between visibility (citations) and the characteristics of South African publications. The raw data was sourced from the Web of Science database. The data was downloaded using the search function under key variables that included the country of the author and the year of publication.